Workplace hierarchy is becoming flatter, with more emphasis on working together. 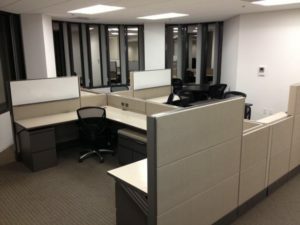 As a result, office furniture is being designed to be more modular, to ensure casual collaboration, with Lower / Glass Walls, which can be arranged and rearranged in a number of different configurations to improve communication. Many new desks come ready to plug into and become one with technology. In addition to Power Outlets, Ethernet and USB Ports, USB charging ports can now even be found on Task Lights. 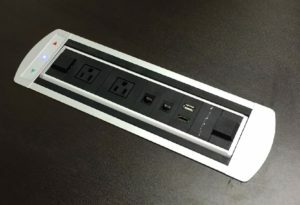 This makes for ease of connection so workers can quickly plug in and get to work. Future office furniture design trends seem to be technology focused. Even an expensive conference table can look terrible if wires are not well concealed within the table. 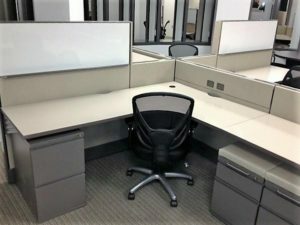 Cubicles are becoming less formal and, in many cases are replaced by non-assigned seating, or docking stations, where staff can “land and work” while in the office for only a short while, eliminating the need for dedicated workstations. 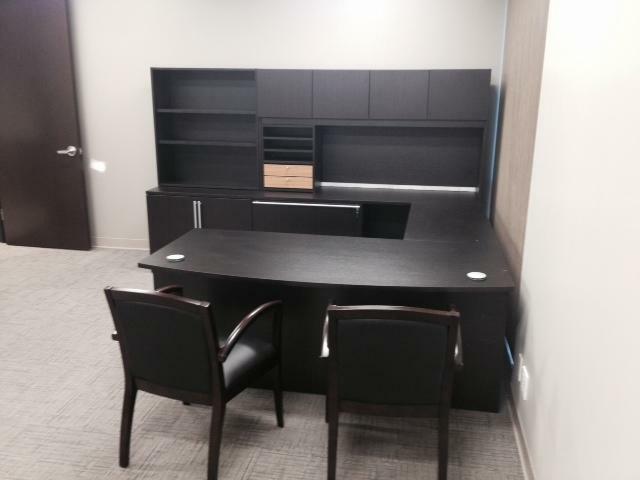 Smaller office sizes ensure that multipurpose rooms and furniture are utilized for everything from multimedia presentations to casual breakout areas. Instead of dedicated offices, smaller enclaves are being set up with oval desks / tables to serve various functions, which stimulate relaxed collaboration. Sit-Stand Height Adjustable Offices are becoming more and more popular amongst more health conscious executives and are increasingly incorporated in Office Designs. Many companies are also opting for standing meetings instead of seated meetings and this is clear with all the standing conference tables that are now becoming available. Businesses want their workers on their feet for a portion of their work day and standing during a meeting also reduces the chance of employees zoning out. A plus in standing meetings is that they are significantly shorter and more productive. Standing conference meetings will be the next big thing. Whether on a break, eating lunch or waiting in a lobby, workers need to be able to answer a call, check e-mail or browse the Internet. As a result, comfortable seating options with arm rests are being designed for even the break room. In the old days, companies and organizations were focused on efficiency. With so many U.S. businesses working on intellectual property, workplaces are now designed to encourage creativity. This means office furniture is becoming more colorful with more artistic options. 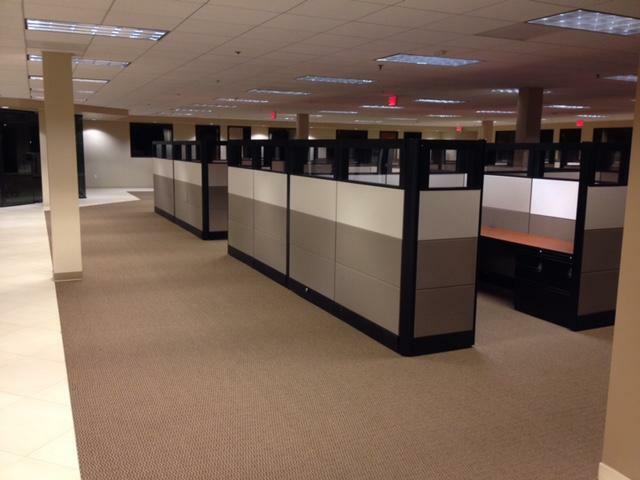 Cubicle Design has taken on a new meaning. 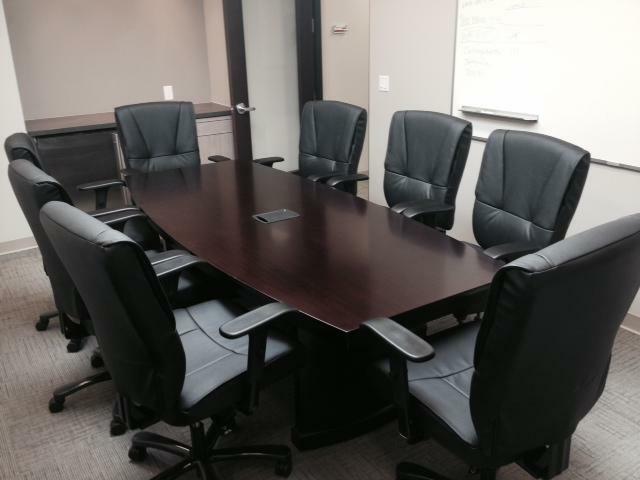 Businesses no longer need just a set of office chairs for a group meeting. 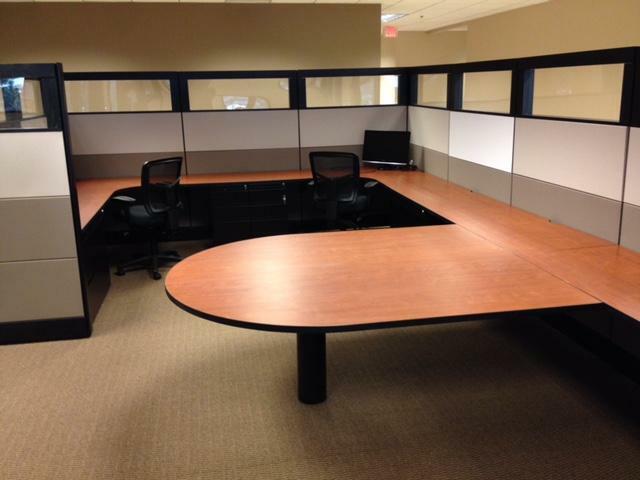 They need seating that can be configured on the fly for an ad hoc group of employees from different departments working on a project. This means office furniture needs to be more versatile and have more than one purpose, like chairs that have a swivel table that can be stowed when not in use. Companies today are smaller, meaning each individual employee is more important. Today’s managers work harder to prevent employees from leaving. One way they do this is by offering a cozy work environment. As a result, office chairs for the everyday employee are now made more comfortable with features like molded form soft seating that is ergonomically designed. The days of working nine to five, with an hour lunch and three breaks are in the past. Today, chairs need to be designed with ergonomics in mind to allow workers to sit in them for long periods of time. That means office chairs are being designed for more than eight hours of use per day and come with as many as 16 different ergonomic configurations for unparalleled customization. Companies are working to show they care about the environment regardless of what industry they are in. Furniture, with low chemical emissions made from recyclable material, is one way to show this corporate value. As a result, office furniture that is Greenguard certified is becoming popular with workplaces that want to demonstrate their commitment to the environment. With an increasing number of companies allowing employees to work from remote locations, more people are opting to work from home. 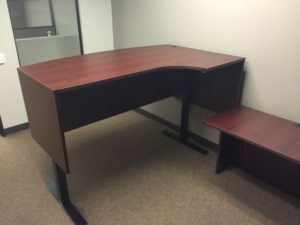 This means there is a greater need for office furniture to be designed for home use (especially Height-Adjustable Desks), and often it must be able to fit into smaller spaces. There are now more options than ever to design a home office that is stylish, yet efficient and comfortable.